Kärcher Center LPC was the first Kärcher Center to be set up in Scotland. Based in South Lanarkshire, providing sales & service of all Kärcher cleaning equipment from the smallest Home & Garden products to the larger Professional/ Commercial machines. With over 30 years experience in the industry you can be certain you are getting expert advice. 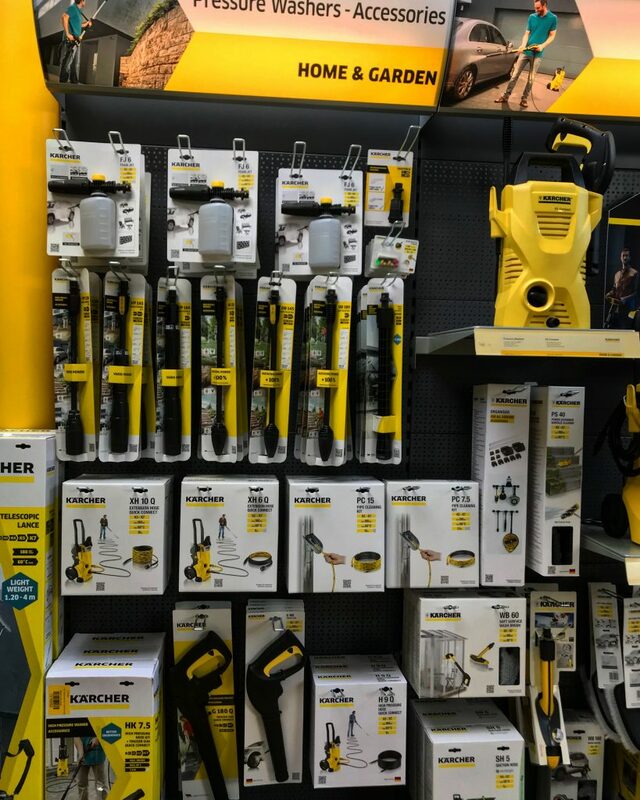 In-store we stock a wide range of Kärcher products. Our in-store range includes; Pressure Washers, Steam Cleaners, Vacuum Cleaners, Floor Cleaners and the popular Window vac. 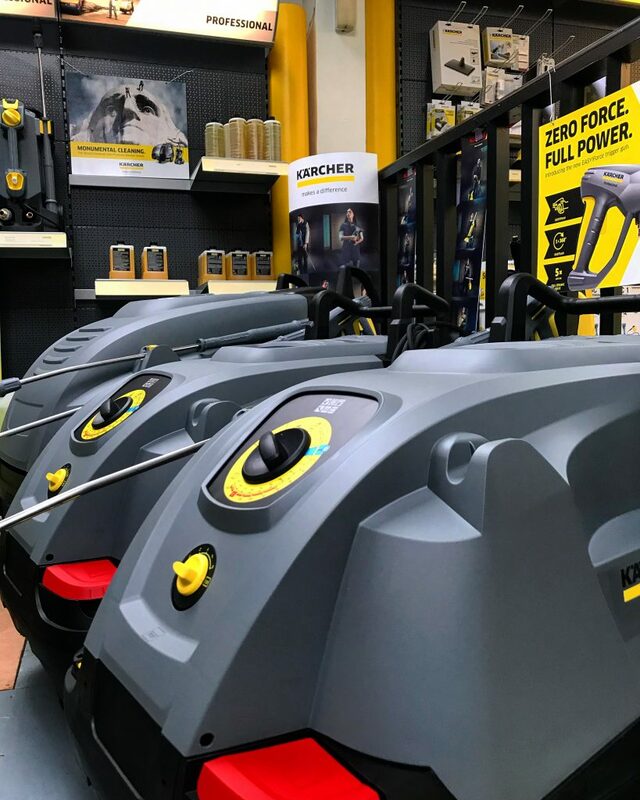 Visiting us at our Kärcher Center allows for you to get hands on with the products and receive helpful cleaning tips and advice from our showroom staff, making sure you get the right tool for the job . All Home & Garden machines purchased in-store or online includes an extra years warranty at no extra cost. 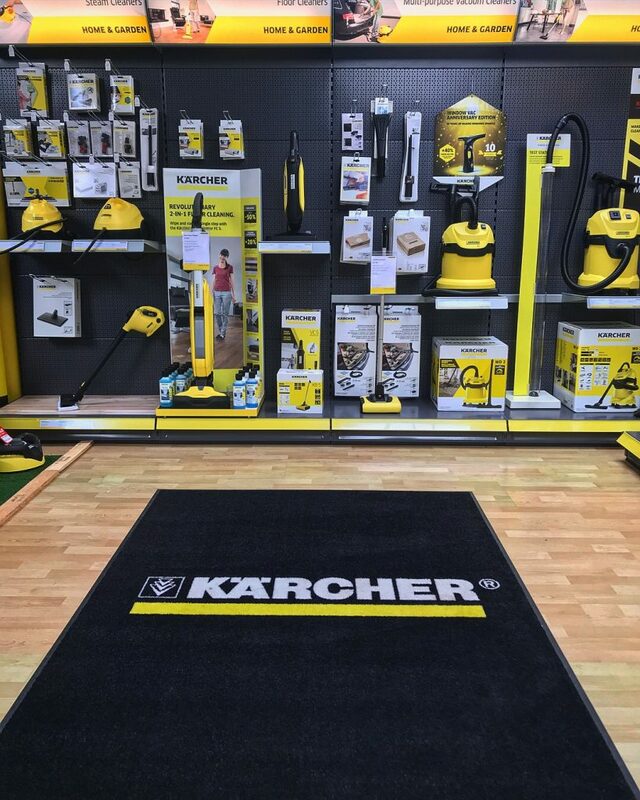 In our Kärcher Center we stock a wide range of accessories to help aid you in your cleaning tasks. From Extension hoses for Pressure washer to extra Microfiber cloths for steam cleaning, the range of Kärcher accessories helps you to expand the cleaning potential of your machines. 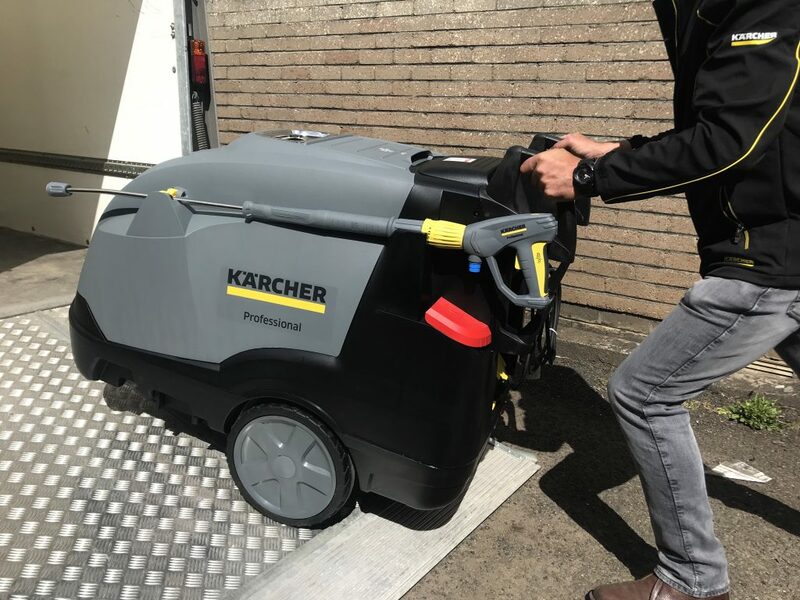 The Kärcher Professional range includes a wide range of machines from; Hot water pressure washers for cleaning a car or a fleet of buses, Vacuum cleaners for office cleaning or car valeting, Scrubber Driers for Warehouse or shop cleaning, Sweepers for car parks or warehouses and steam cleaners for cleaning a kitchen or a hospital. With such an expansive range of machinery, we will be able to help find you the right machine for the task . Why buy from Kärcher Center LPC? Pre Delivery Inspection so the machine is ready to go when it arrives on site. Safe and secure delivery to your site. Operator training carried out so anyone using the machine can do so safely and effectively. This level of service doesn’t just apply to hot water pressure washers, it applies across the full range of our technical Professional machines . To receive more information or to make an enquiry press the button below.